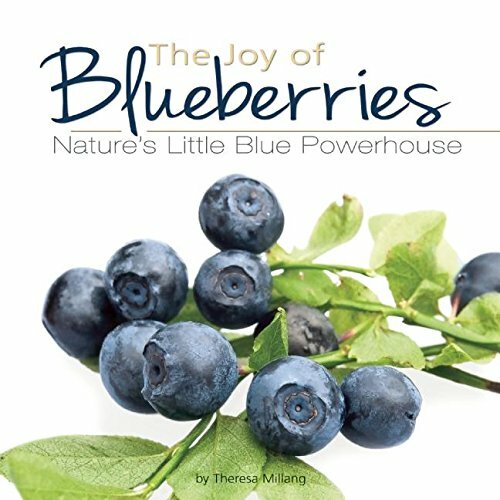 You are here: Home / Recipes / Blueberry Salsa Recipe for Healthier Snacking! Blueberry Salsa Recipe for Healthier Snacking! We are in the height of blueberry season here in Georgia and this blueberry salsa recipe is the perfect way to celebrate!. I have been getting some off my bushes this year. 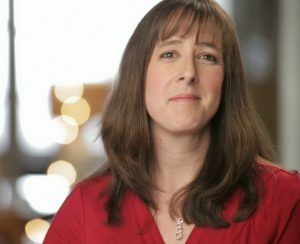 (whatever the birds leave me!) I am also finding North Carolina blueberries at 2 pints for $3.00 so I have been stocking up. Freezing blueberries is very easy. Just spread them out on a cookie sheet and set the entire sheet into the freezer overnight. Once the berries are frozen, just dump them into a plastic freezer bag or other freezer safe container and they will last for months. Here is a good recipe from the July edition of Southern Living for blueberry salsa. I was a little unsure when I made it but it tasted heavenly and everyone at the pool party really seemed to enjoy it. If you are looking for more blueberry recipes, try my blueberry oatmeal cookie bars. I love the fresh flavors of this salsa and it is great for people who are gluten free, Whole30, or eating a raw food diet. This blueberry salsa recipe is delicious with traditional tortilla chips but personally, I love them on toasted pita chips that have a touch of cinnamon and sugar on them. The combination of sweet and tart makes for a deliciously healthy snack recipe! Also, if you grow and preserve your own herbs, you can make homemade salsa pretty much all year long. Try to buy local blueberries whenever possible. Personally, I would rather buy in bulk in the summer and freeze them back than get stuck buying blueberries from Chili in the winter months. 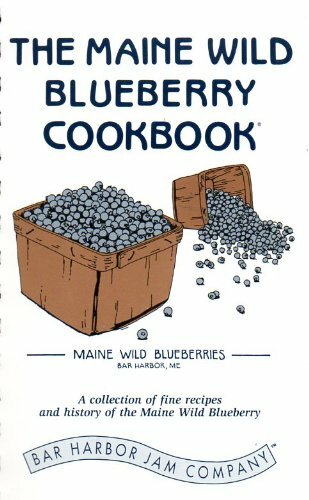 Make sure to invest in a blueberry cookbook or two. 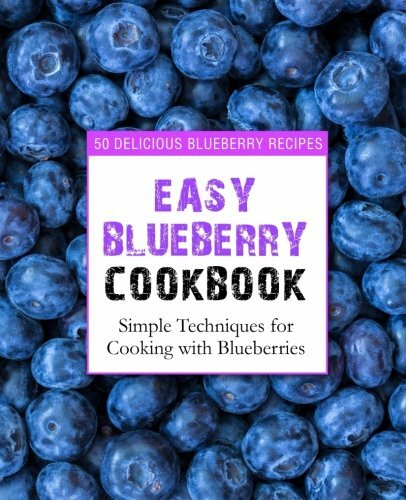 You would be amazed at the number of both sweet and savory blueberry recipes you can find. 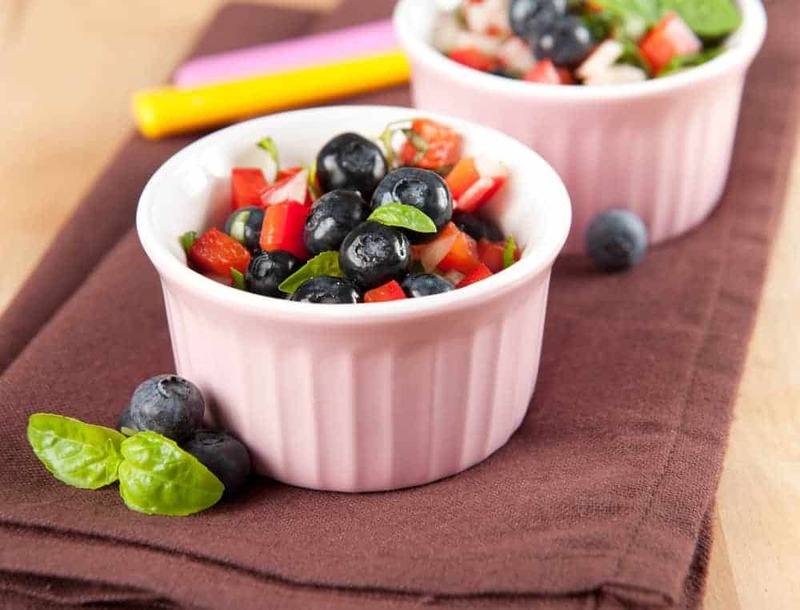 This blueberry salsa recipe makes healthier snacking so much tastier and delicious! Print it below! Serve with your choice of tortilla chips/pita chips/bagel chips or whatever. Like this Blueberry Salsa Recipe? Pin it for later!